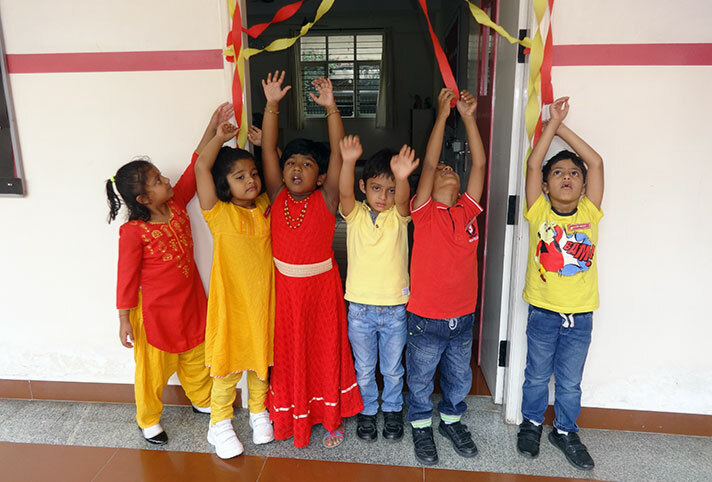 The spirit of Karnataka Rajyotsava was seen in the Pre-Primary campus as the building came to life on 31 October 2017, with the colours of the Karnataka flag. 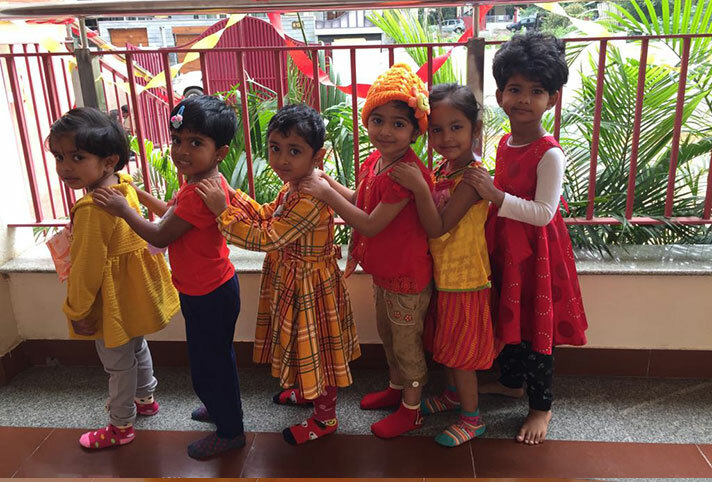 The little ones in keeping with the spirit of the day, were dressed in red and yellow. 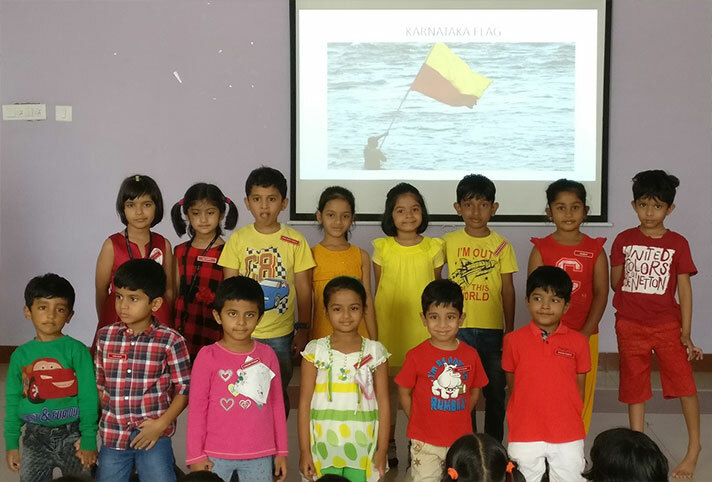 The children were gathered in the audio visual room and shown a Power Point Presentation on the famous monuments of Karnataka. The programme ended with a lovely Kannada song sung by the students.